PATONG PEARL RESORTEL Stay With Us, And Feel Like Home. In Thailand, indulgence also includes the pleasures of dinning. Variety of cuisine using the freshest ingredients with the seafood bought to your table directly from the clear waters of the Andaman sea. Pearl Garden & Restaurant allows you to feel at one with the city. For a special private dinner, enjoy your own quiet time as we set up the perfect meal on the cool soft chair with gentle music. Pearl Garden & Restaurant offer buffet selections for breakfast. 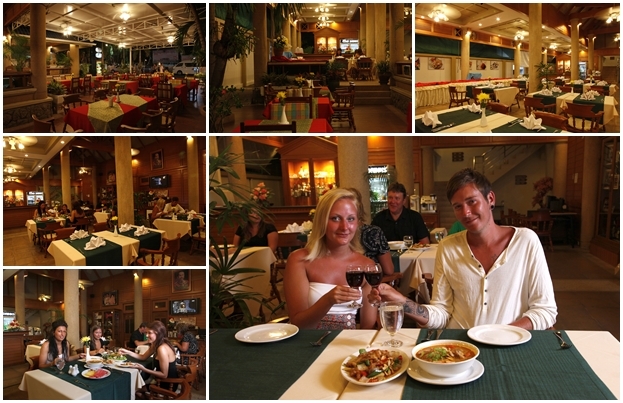 In additional, an a la carte menu provide a selection of European, Thai and Asian favorites. Everyday enjoy the outdoor zone.